Author and historian Frank M. White will discuss the overall picture of baseball and sports in the Rondo neighborhood. He will highlight some of the athletes from that neighborhood and will also place the history of baseball in context, recognizing some of the landmarks and locations of significance in Rondo that were instrumental in the community and in developing sports in the area. Frank M. White is a former athlete, coach, official, and sports administrator. 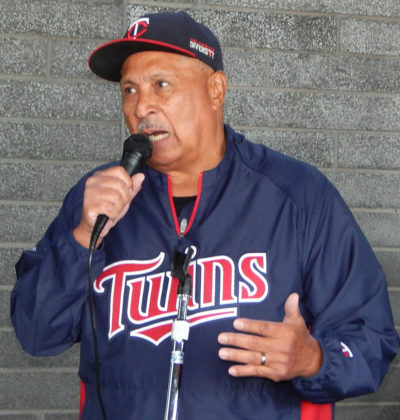 He currently coordinates the RBI (Reviving Baseball in Inner Cities) program for the Minnesota Twins. His exhibit, They Played for the Love of the Game, was developed with the Ramsey County Historical Society in 2010. Frank is also the author of articles, including for Ramsey County History magazine, and They Played for the Love of the Game, Minnesota Historical Society Press.